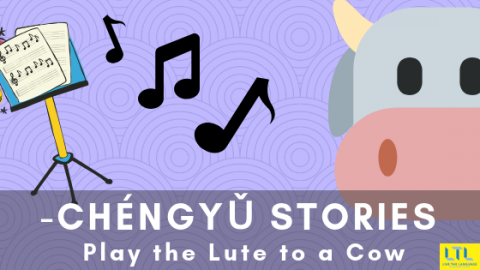 Chengyu Stories: What does Play the Lute to a Cow mean? 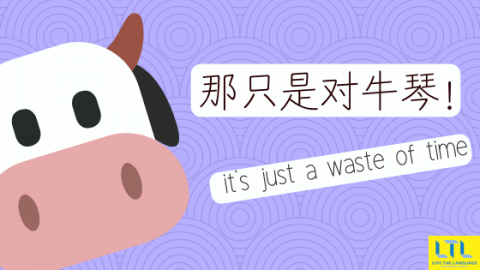 Blog Learn Chinese Chengyu Stories: What does Play the Lute to a Cow mean? While learning Mandarin Chinese, you will find a lot of idiomatic expressions, alluding to a story or historical quote. These 4 character based set phrases are called 成语 chéngyǔ and they are still common in the written and spoken language today. If you really want to sound fluent in Chinese, nothing really beats the impact of a Chinese idiom delivered with precision to a native speaker. Every foreigner can say “马马虎虎 “(mǎmǎhūhū), but if you really want to impress you Chinese audience, learn another easy to remember and popular idiom, such as “Play the lute to a cow”. 对牛弹琴 duìniú tánqín literally means “Play the lute to a cow”. However, it is used with reference to someone who is offering a treat to an unappreciative audience. During the Warring States Period, there was a talented musician called Gong Mingyi who played the lute (弹琴 tánqín) very well. One day, whilst he was taking a walk in the countryside, he saw a cow grazing on the grass. Inspired by that peaceful scene, he decided to stop and to play a tune for her. The animal seemed to not care much about the music, so Gong Mingyi decided to play another song. The musician changed from one song to another, but the cow kept focusing her attention on eating the grass and paid no heed to the beautiful melodies Gong Mingyi was composing for her. Finally, the forlorn artist sighed and went away. Since that day on, people started to use the proverb “To play the lute to a cow” (对牛弹琴 duìniú tánqín) with reference to someone who has over-estimated his audience or to someone who is offering a treat to an unappreciative audience. Bié xiàng tāmen jiěshì, nà zhǐshì duìniútánqín. Stop trying to explain yourself, it’s just a waste of time. Quàn tā shì làngfèi shíjiān. 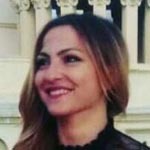 Bié duìniútánqínle. Don’t waste good advice on her，don’t cast pearls before swine.